Find different health related services by either specifying an address or using your current GPS position. The results are displayed on a map and you can get directions too. Search is specific to the country you are located in. 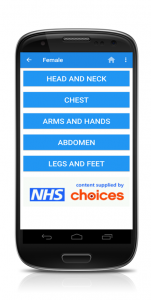 Browse the NHS Choices' Interactive Encyclopaedia of health conditions. You can search by ''body part, first letter or 'whole body'. 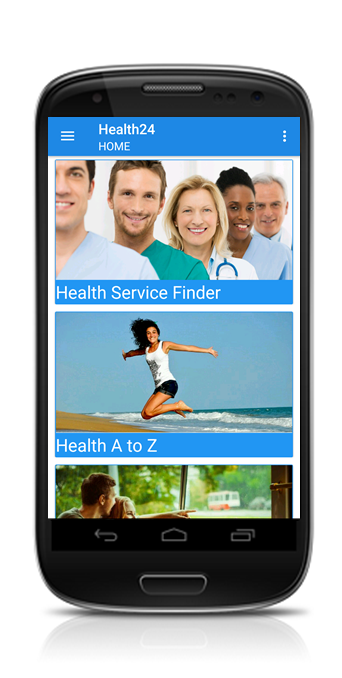 Specially designed to bring the NHS Choices 'Health A-Z' to the mobile phone. No matter where you are in the World, Emergency direct dial will contact the emergency services for the country you are in.